This 240 mm Horizontal Arm allows the Flexible Server Module to be perfectly fixed, oriented and adjusted. It is coated with an anti-microbial agent offering hygiene and cleaning down to the last detail. Its modern design has been specially designed for healthcare environments. 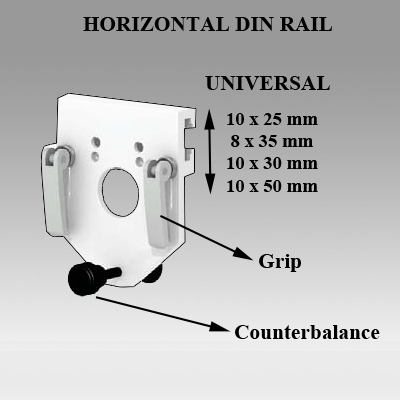 Din rail and then adjust to the rail and pinch with two grips.